Got the 6.2L. Has about 22K on it. No issues Averaging about 10 MPG constantly pulling a 3500lb trailer. Not a lot of weight, but I think the trailer height is affecting the MPG due to the height. It's a 6'X12' that you can stand in. That makes a decent parachute. Gonna be pulling about 10K today with a trailer and mini ex. I'll update after that, but it won't be a long run so take it with a grain of salt though... Side not I've been liking the 6.2L so far, but as you can see I'm not pushing the 12K limit of it either. I have a 2013 350 with the 6.2 and love it. It has about 4,300 miles on it. I tow a TT Outback weight about 8,000 lbs. getting right at 12 MPG now and the more miles I put on it it increases. I just watched a youtube video about a 6.2 in a super duty vs. a 6.2 in a raptor. The raptor's engine was tuned for performance, the super duty's was detuned a little for longevity. It was a pretty neat exercise they did going up a 7% grade, had those 6.2's screaming while hauling 8,000 pounds. 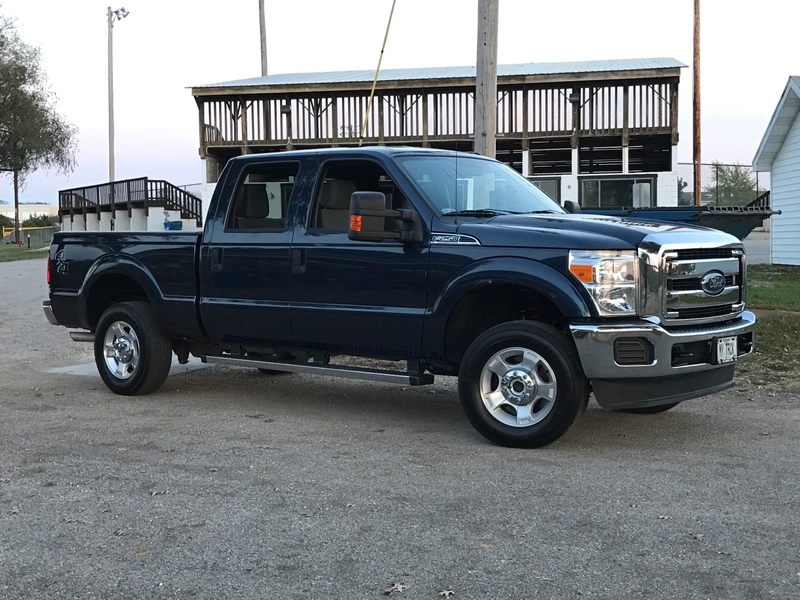 I have a 2016 F250 6.2L... Probably too early to tell much about them, but so far I am pretty pleased with it as a daily driver. I don't haul much though, just my travel trailer for camping trips... since winter's headed this way, might be some time before I really get to see how she haul's. I did hook up the camper last week and take it for a 20 mile round trip just to see how it handled. It seemed so much more solid than my 2004 F250 V10 that I traded in on this truck. Time will tell if this 6.2 will hold up.. but I also heard good things about the engine from the folks at 5-star tuning... regarding the fact that the Ford Raptor's use the same engine, just decked out obviously over the Super Duty's. That is a sharp looking truck. They're breaking valve springs due to the extended high rpms during towing. I've got 15k on mine thus far with no issues. It has plenty of power for what i do. I don't pull heavy loads every day but from time to time pull tractors and on occasion a backhoe. I'm in Florida so no hills here. I keep my speed under 65 when towing tractors or dump trailer. mileage is not bad. As far as the screaming high RPM's, haven't yet gone over 4500, haven't needed to. I get 16-18 mph normal driving, towing most loads 10-13 the backhoe drops it to 8-10. I can live with that for occasional pulling. The Super Duty 6.2's are programmed a little differently than the Raptor's. The Raptor will outperform the Super Duty, but the Super Duty will last longer.